Prior to 2008 it was not even possible that Bill Vincent would have set down to write Signs and Wonders. The reason is that Bill didn't even believe in any manifested signs and wonders. Bill Vincent was a Pastor in Litchfield, IL and was invited to a David Herzog meeting. They said to him to come on, that there will be gold dust in the meeting. Bill responded, "what is that for?" He told them he wanted something tangible from God, not some gold dust. Little did he know the gold dust was indeed from God. You will either love it or hate it, but all of this audiobook is backed up with the truth of scripture. Bill has experienced some of the most glorious times in God's Presence. Bill has seen and has been a Sign and Wonder. God has shown His awesome wonders to and through Bill so much that it seems like a dream. Whether it's gold dust, multi-colored dust, gold flakes, gold nuggets, feathers, glory clouds, misting rain, gemstones, diamonds, mounted rings or more, God's Glory can manifest in some of the most strange but real Signs. 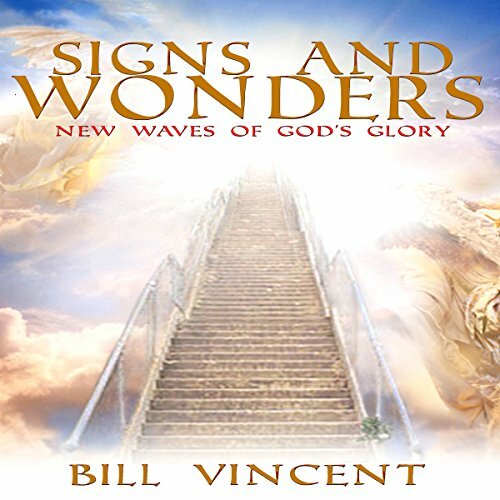 Bill has been told by some ministers who have experienced signs and wonders that we were blessed greatly to see all that we've seen. God existed more in such manifestations when there were fewer people on earth. Bill believes this is the case because of the unity we had. Unity brings about His Glory and releases His signs and wonders. We have full color pictures of Signs and Wonders that have happened since 2008. We believe and hope you will too. In God's Glory, anything can happen. God wanted Bill to say this here. If you listen to this audiobook and expect Signs and Wonders to happen and appear before you, then they will. A wake up call for all Christians who are tired of their own powerlessness. God is greater, above and beyond whatever interpretation we may embrace about his power, will and love. Rejoice with Bill Vincent's experiences, and believe that you can live them in person.